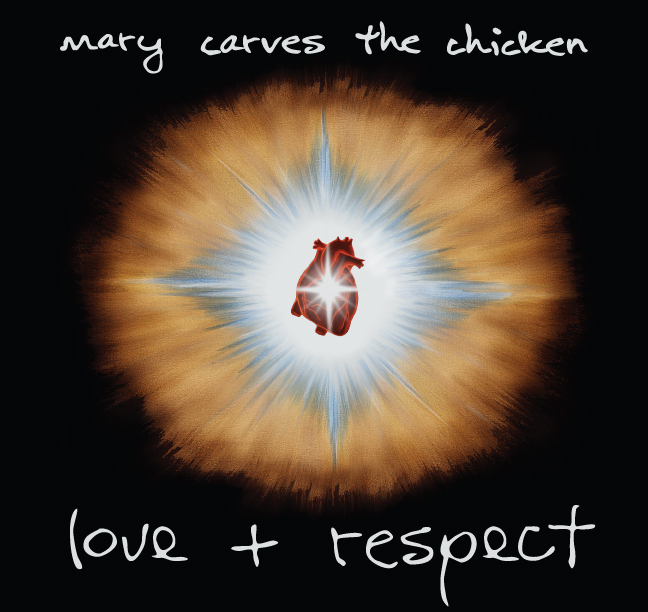 Mary Carves the Chicken would like to thank: Gary Pitman for trekking from No Cal to So Cal on his own dime, and adding so much love to this record. Bro, you are a rare, one-of-a-kind talent, and a cherished friend; Danny Keys for helping us work out most of these tunes and for being an all-around bro for life; John Baker for the flavor and love which influenced many of these tunes, and for friendship and label support; Laura Christine, Dennis MacCoumber, Bradley J. Simmons, Erica Hayakawa (web intern); Samur and all his interns at Mad Dog Studios for making it a blast; Dusty Wakeman for creating such a cool vibe in such a cool place to work; Roberto Del Hoyo, Daniel Bruce Lee, The Bowlwinders, Rob Mawer, Ruben Reza, Ron Neumeyer; and Doug and Kathy Morrow for keeping the faith. God, J.C., S.G., Wayne and Mary Jackson for a lifetime of support; Jennie J. Jackson; Teddi (Dogzilla) Sherden; Karen Jennings for literally saving the day; Tony Robbins, Steven Covey, Petunia and Maggie Jackson; Eric and Brent at Eric’s Guitar Shop for keeping me low, slick and fast; Jonas Winningham and Hunter Jackson; Jeuli Gastwirth; Jay Levin, and Kate Hughes. Lori Sherden for being the best wife ever, Jeff and Steve Sherden for letting me spend so much time away from home, and Mom and Pop for all their love and support over the years. Bernie & Marlene Weinstein who are my biggest supporters, the rest of my family, Punum my best buddy, Michael Blaine for giving me the greatest sounding drum set ever! Matt Oaks, James Oaks, Gary Worth, Rafael Carvajal, Kenny Land, and all my other friends who are too many to name for your years of support, Corey Nordal for his musical guidance I still use after all these years, every drum instructor I’ve ever had, Neil Peart for setting the bar way too high, last but certainly not least, Page Jackson & Bob Sherden for just being the awesome human beings they are. Did you ever raise a finger? Did you rise up at all? Or did you go to the mall? We really want you to listen to this record. This record is the fruit of countless hours of our determination, sweat, passion and sacrifice. This collection took years to write, hundreds of hours away from our families rehearsing, arranging, polishing and practicing. This has definitely been a labor of love. We are truly blessed to be able to do this thing we love so much, this far down the line, and to have such rich, enduring friendships. Thank you for sharing this with us. If I had three days left to live, and could speak to the world, I would talk a lot about having hope, having faith, about treating other people right, about being fearless, about shifting perceptions, and about letting go of all that old junk that just isn’t working for you anymore. I would tell people to take a stand, to jump out there in trust—that nothing matters here but how we have treated other people, how honest we have been; how true we have been to what we were put here for, and how much we have loved. I would want to appreciate beauty; and, of course, I would want to tell a lot of people that I loved them. As always, I would want to rock the blues for a while, and I’d want to laugh (See tune transitions). So, this record is as much about the mood as it is the content. It’s important for me to confess that it’s really all about my personal growth. It is about me waking up. Still, most lessons are universal. I pray you all find something here that applies to you in your own lives. I hope it is an uplifting source of hope, laughter, reflection and happiness for everyone it touches…and I hope you crank it up nice and loud and ROCK!